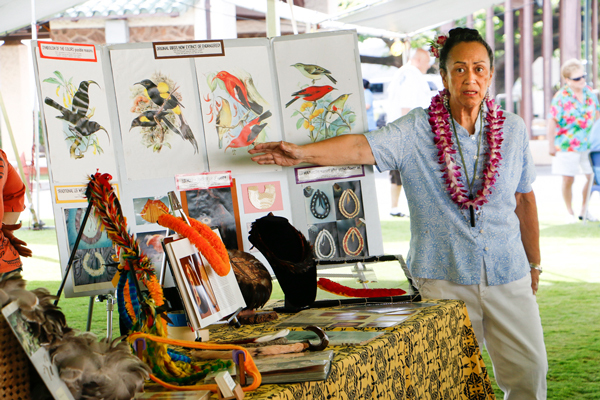 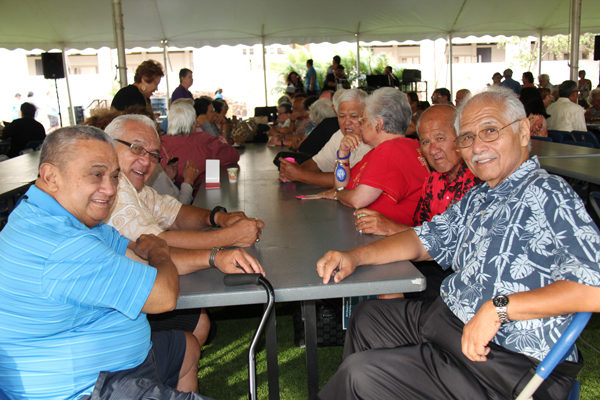 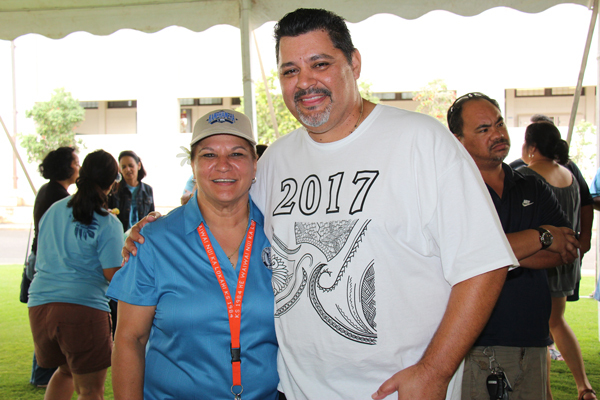 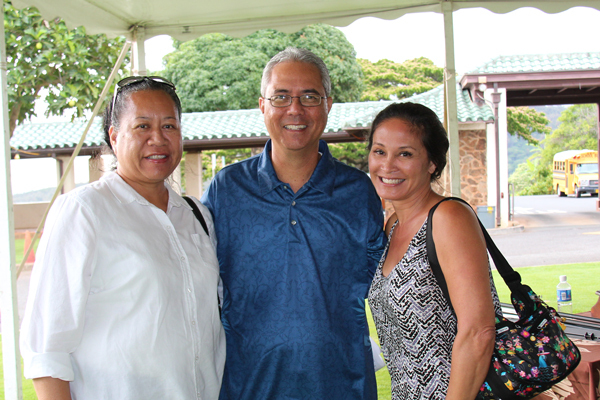 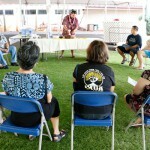 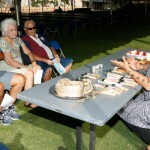 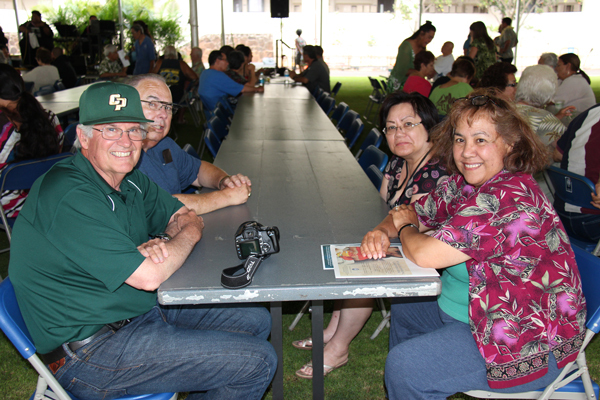 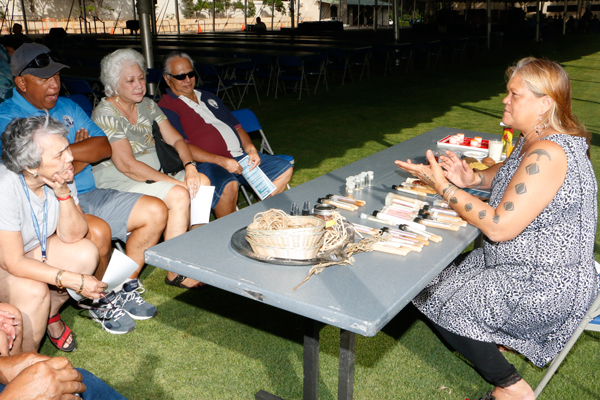 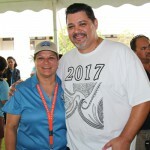 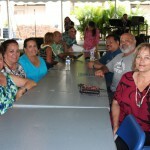 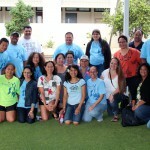 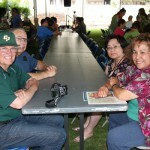 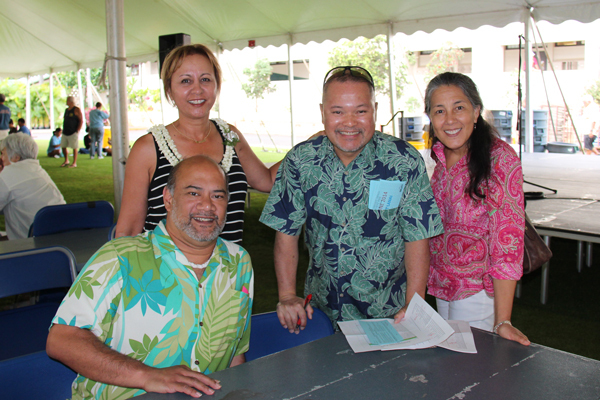 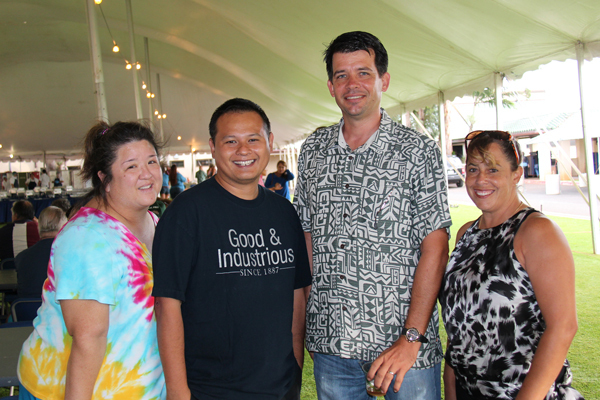 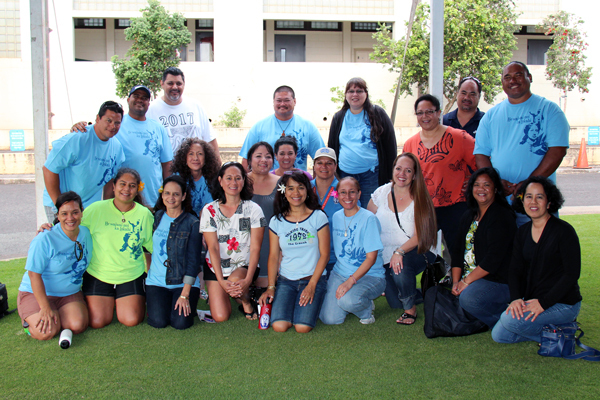 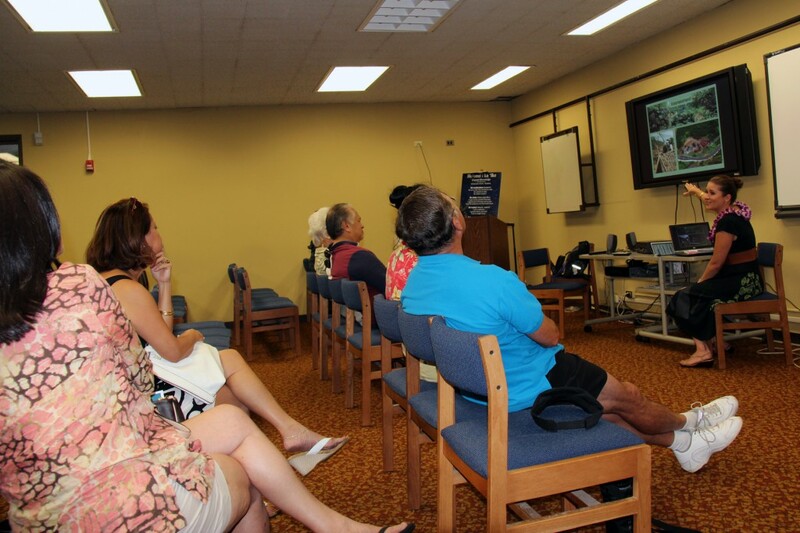 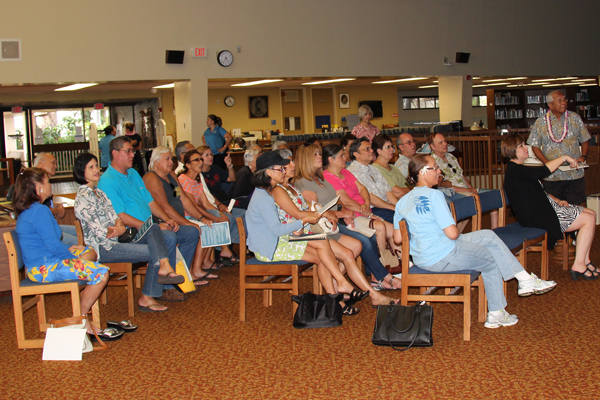 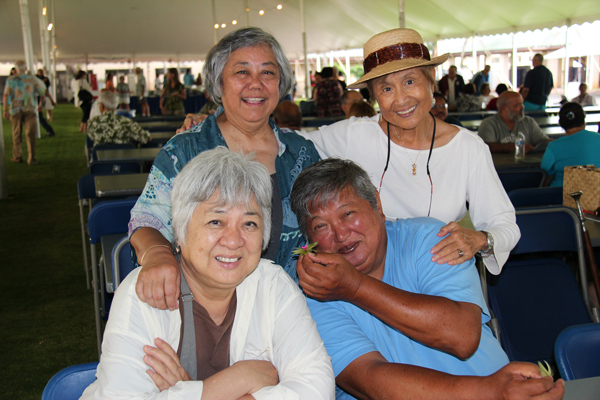 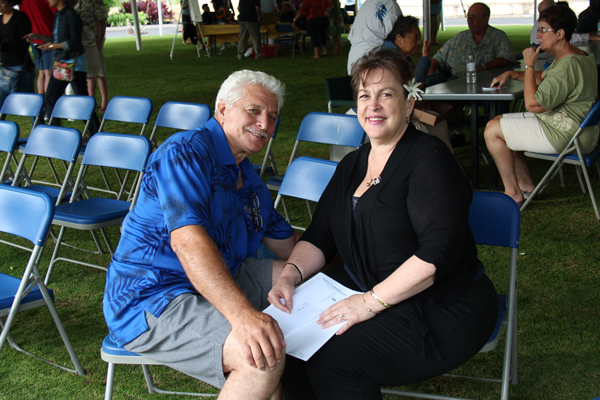 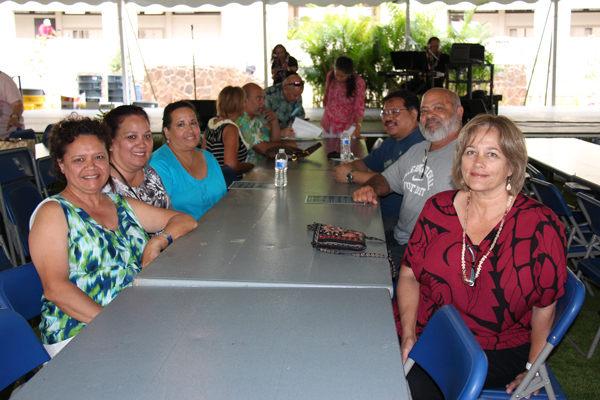 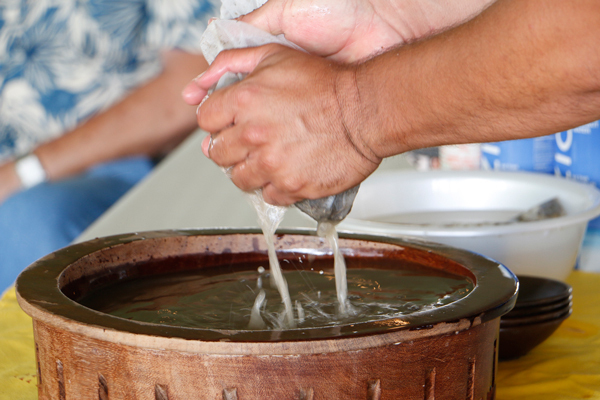 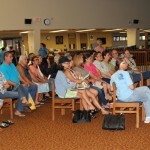 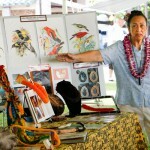 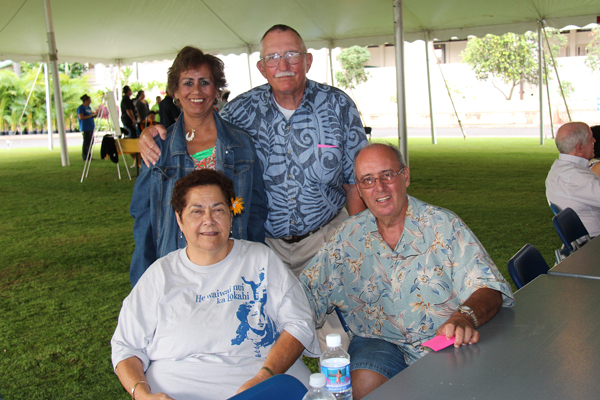 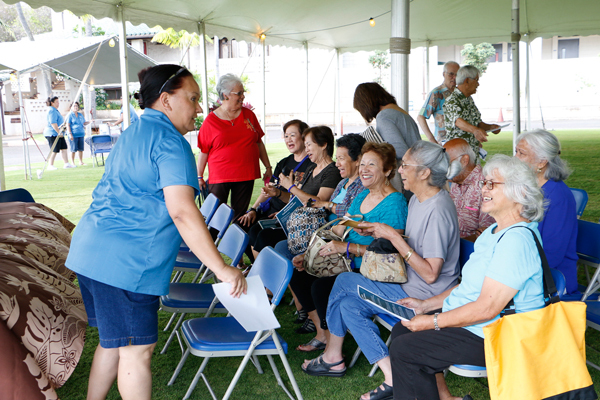 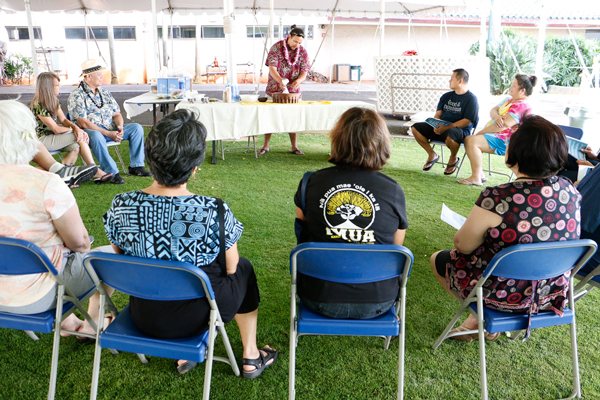 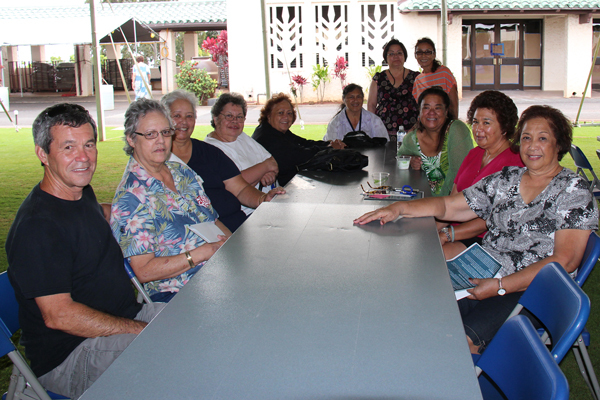 New for the 2014 Alumni Week, the Cultural Fair offered alumni a number of cultural learning opportunities, including feather lei making, ‘awa tasting, and a presentation of historic events at Kamehameha Schools. 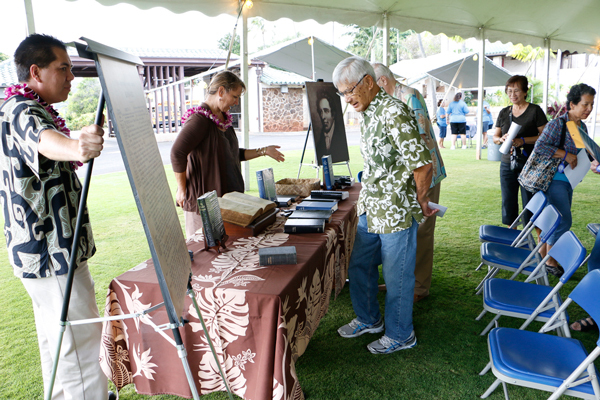 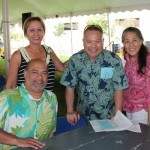 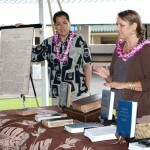 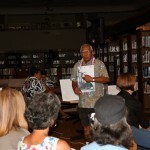 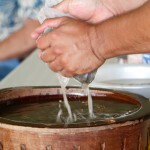 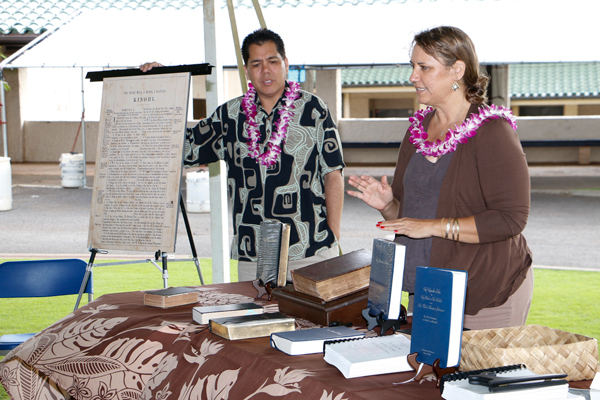 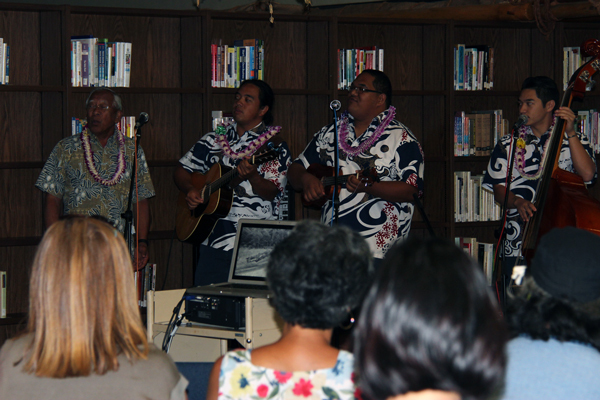 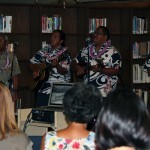 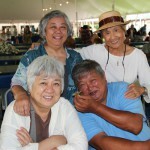 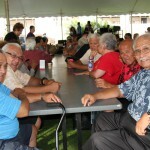 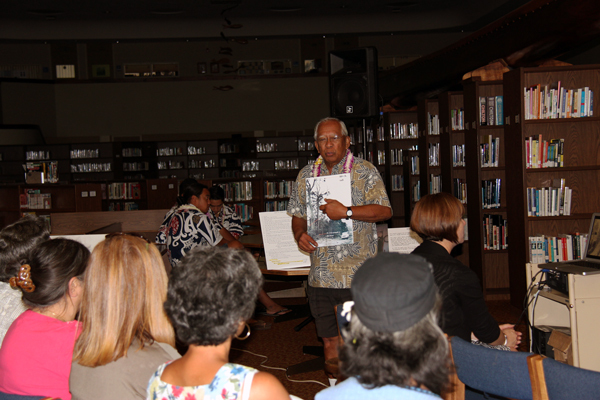 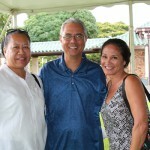 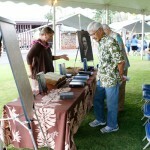 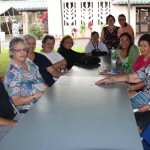 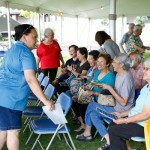 The event ended with a kani ka pila of well-known Kamehameha and local songs. 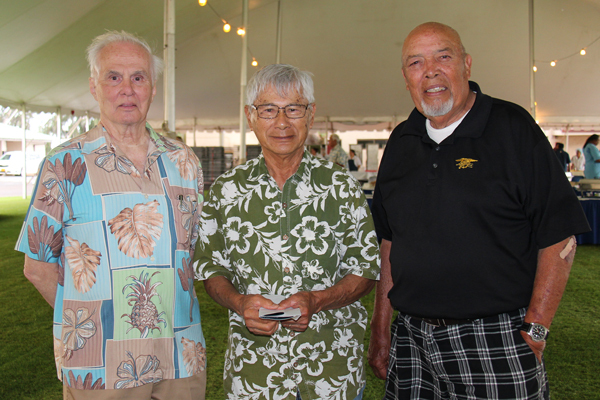 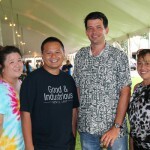 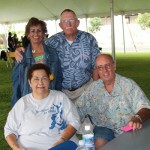 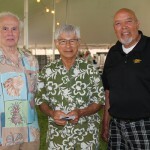 The event was held under the big tent on Konia Field on June 4th.